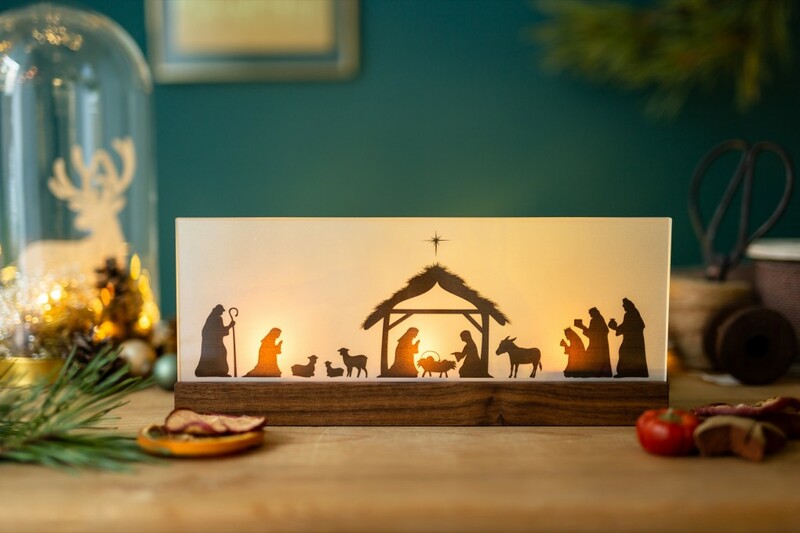 “Have yourself a merry little Christmas” with this beautiful and modern nativity scene. 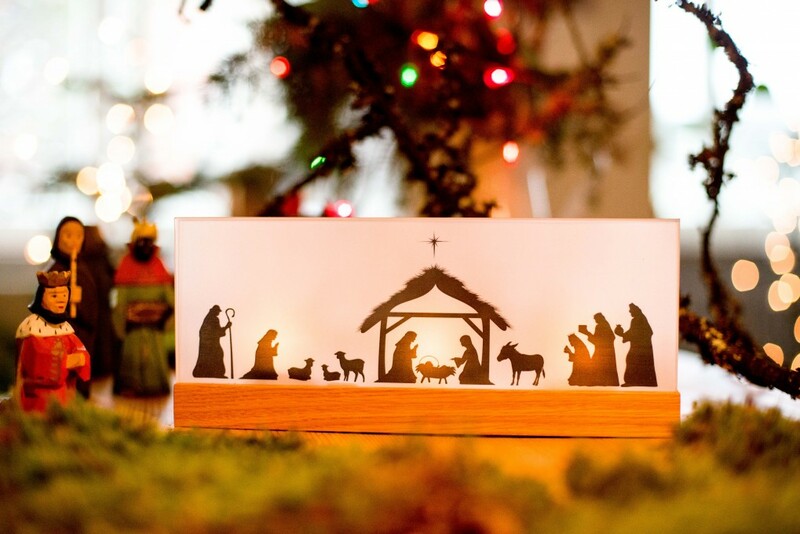 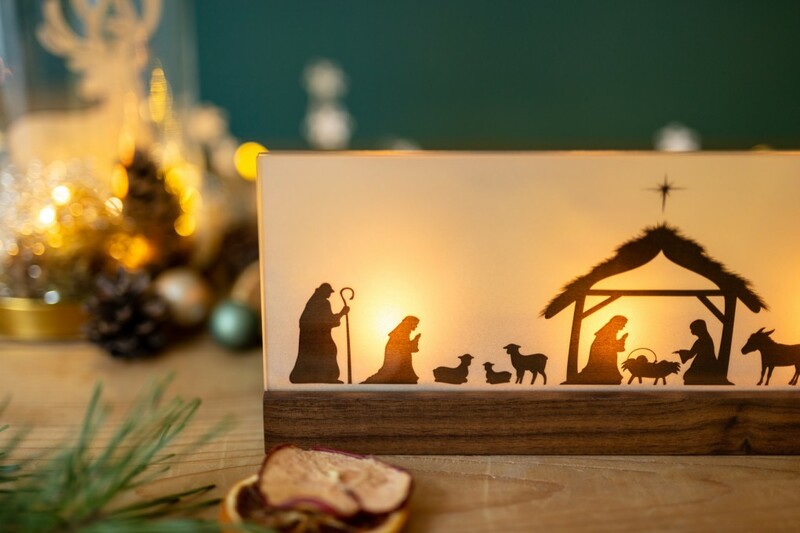 This nativity scene will remind you and your family of the Christmas miracle. 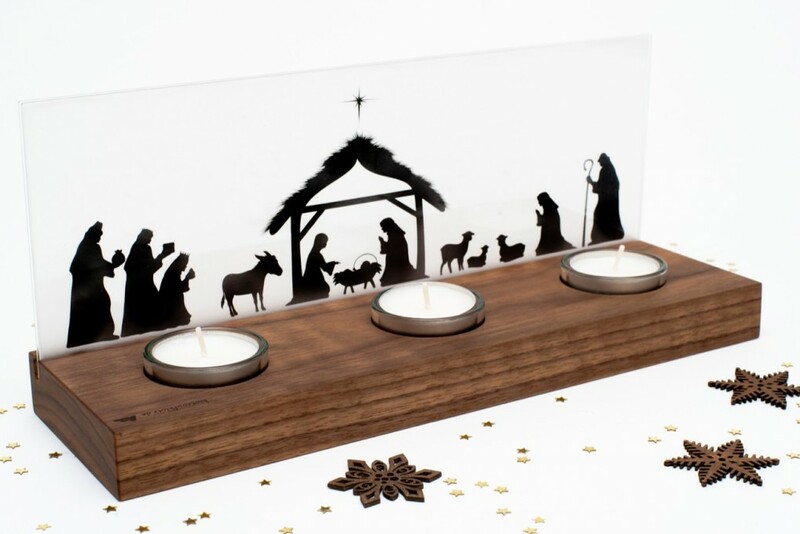 Three candles shining through the acrylic glass create a serene and festive atmosphere. 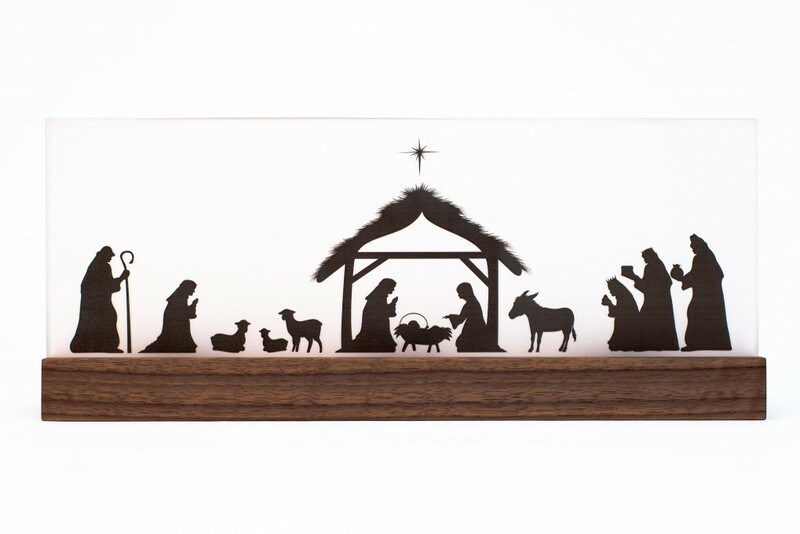 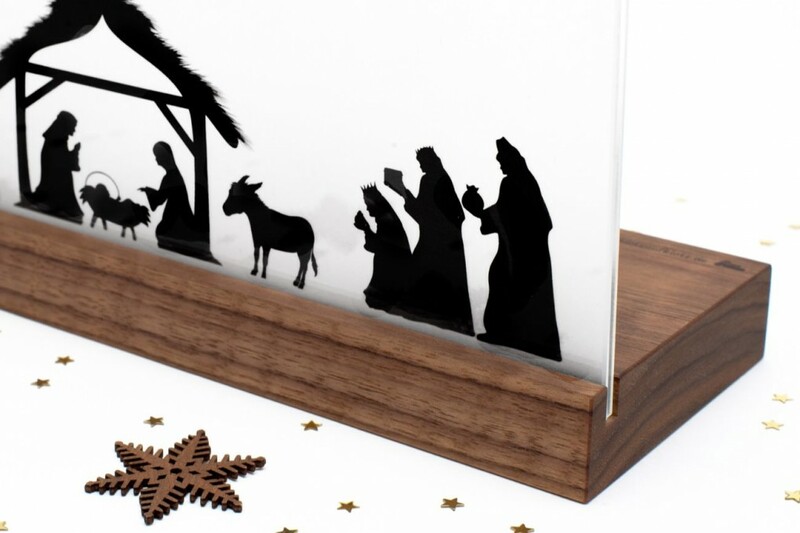 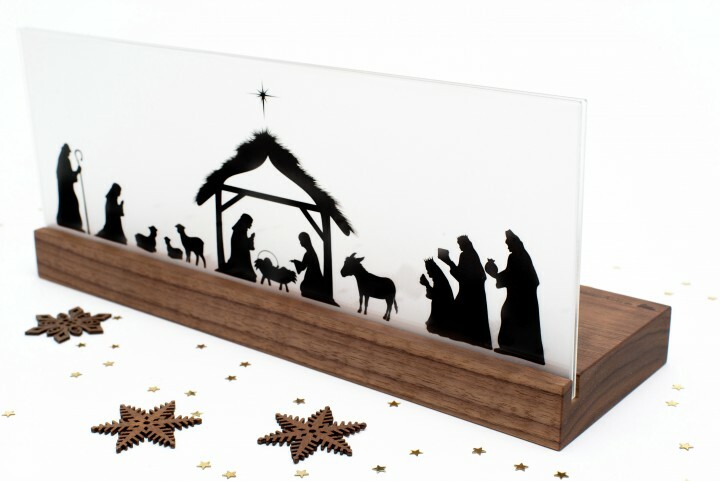 The solid wooden nativity scene is available in nut or oak wood.